This article explores the matter of teaching politeness in the ESL/EFL classroom. Should and can the British politeness model be taught aside from British English grammar, vocabulary and pronunciation? Do future EFL teachers share linguistic and pragmatic competence? Despite the great popularity of the British English standard, pragmatic competence vastly varies among English language teachers around Europe and therefore the pragmatic knowledge they transfer to their learners also varies. Learners are not fully prepared for intercultural communication as they do not have, among others, the awareness of different speech act realisations. 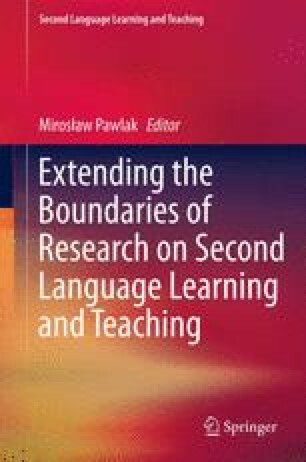 The study presented in this article shows what politeness strategies future ESL/EFL teachers from Poland, Slovakia, the Netherlands, Macedonia and the UK have a preference for when apologising within familiar equal and superior-inferior relationships. It then moves on to present the theory of learning and the practice of teaching the speech act of apologising.